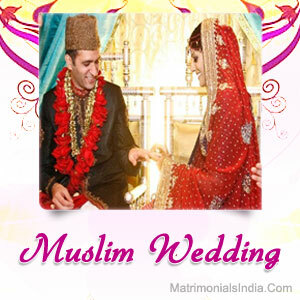 Muslim Wedding, which is popular by the name of Nikah, is an immensely joyous and a love filled occasion. Just like most of the other Indian weddings, a Muslim Wedding too has many rituals before and after the marriage. 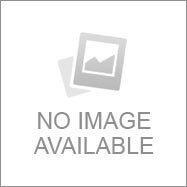 However, the rituals of a Nikah are greatly different from the weddings of other religions. Istikhara - The head priest, under whose guidance the wedding is supposed to takes place, seeks permission from God for the marriage. Imam-Zamin- A silver or gold coin is wrapped in a silk cloth. This silk cloth, which is also called as Imam-Zamin, is tied to the arm of the bride by the mother of the Groom. Mangni- The families of the bride and the groom visit each other's place with fruits and sweets. These days, the couple also exchange rings in this ceremony. Manjha- The bride is dressed in yellow clothes and a turmeric paste is applied on her body. Mehndi- The hands and feet of the bride are decorated with beautiful designs of Mehndi. This is one of the most important rituals for a bride. Sanchaq- The Bride is gifted the dresses and jewellery by the Groom's family. She is supposed to wear the same on the Nikah and Chauthi. The Big Day: Just when the Baraat reaches the wedding venue, the groom is offered some Sharbat, which he is supposed to enjoy in the company of his brother-in-law. Then the actual Wedding Ceremony begins in the presence of two Maulavis. One Maulavi represents the Bride's family and the other represents the groom's family. After the amount of Mehar, a mandatory amount of money to be given to the bride by the groom, is decided, the bride is asked to give her consent three times for accepting the groom as her husband. Same is asked to the Groom. Once they give their consent, families and friends congratulate each other and the newly wedded couple. Then Khutba, a religious hymn, is recited. Aarsi Mushaf- The bride and the groom are asked to seat in front of each other. A dupatta acts as a shed on their heads. Then they are asked to see each other with help of a mirror placed between them in the presence of the Holy Quran. After these rituals are over, the bride proceeds for the Rukhsati to leave for her new home and start her married life. Seeped in culture, a Muslim Wedding forms a strong link between the families of the groom and bride as well.